Updated 10/10/18. 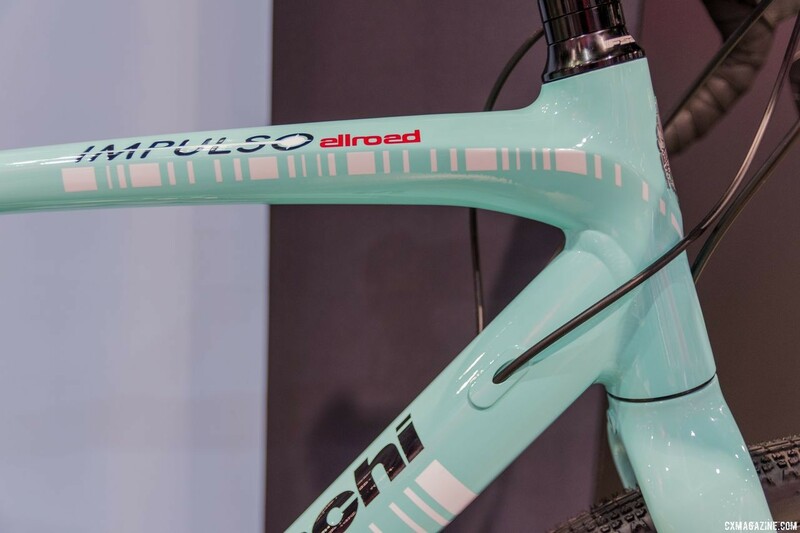 Last year at Interbike, Bianchi showed off a new direction for its mixed terrain line. 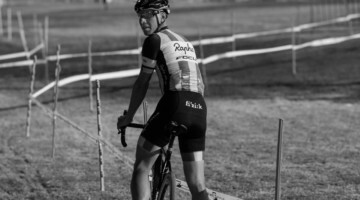 The company discontinued its gravel/adventure AllRoad that came with a dropper post and the steel Volpe Disc. 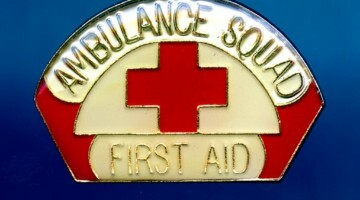 That, however, does not mean the Italian company is getting out of the gravel and adventure game. 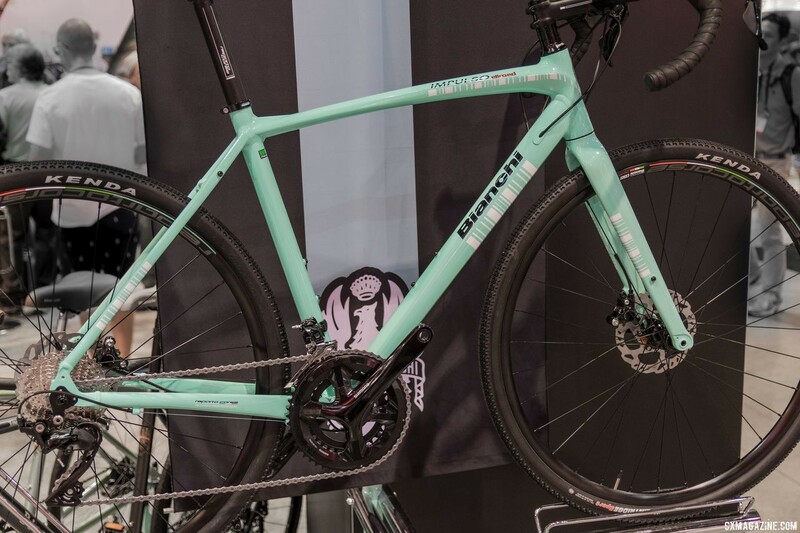 The bikes Bianchi showed off at Interbike last month in Reno includes several bikes aimed at those aiming for the roads less traveled. 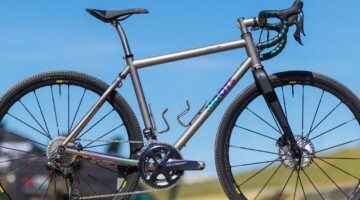 Its lineup still includes the steel Orso, which is a replacement for the Volpe Disc that has a steel frame and similar geometry. 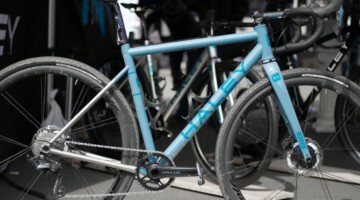 We also saw the Impulso All Road, an aluminum performance bike. 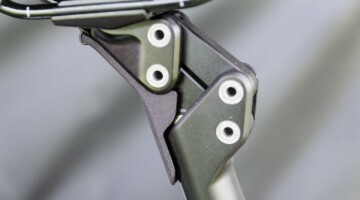 Although we saw these at their introduction last year at Interbike 2017, they are now in full production and we obtained more details setting up for a review in the future. 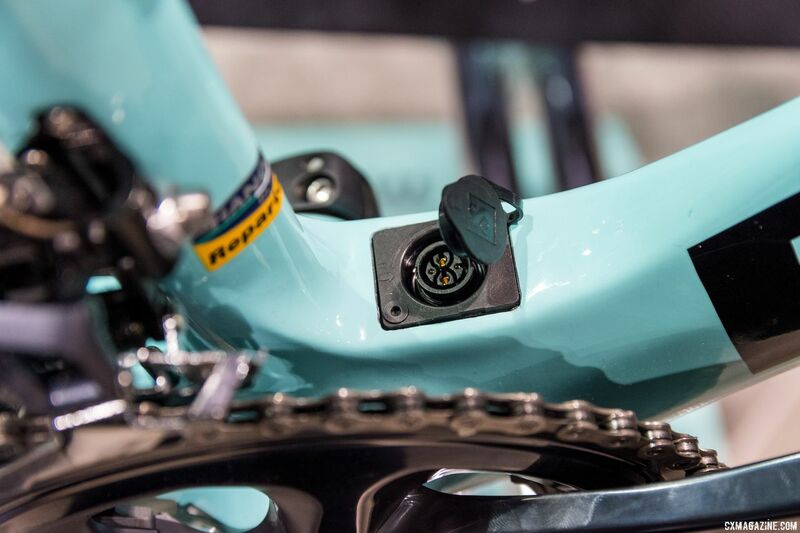 Bianchi also showed off its E-Road Aria, which has a hub-centric motor. 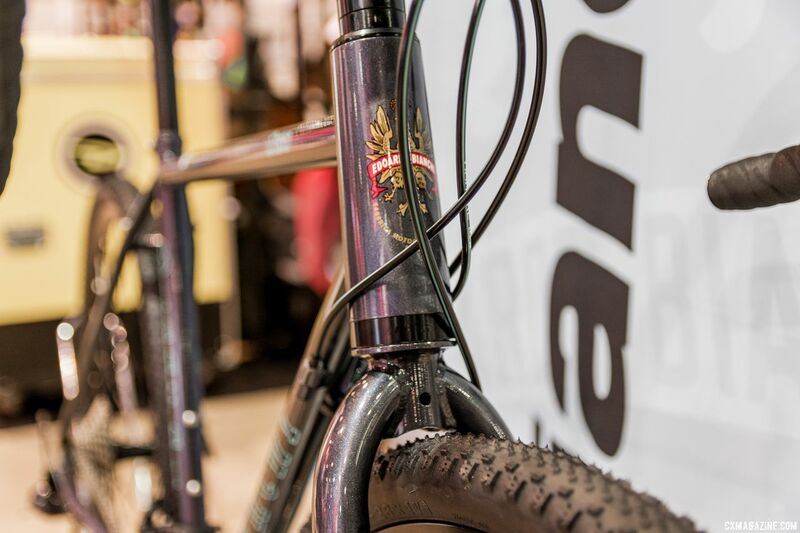 The Orso has modern fixtures for wheels and brakes such as 12mm thru-axles, flat mounts and clearance for 42mm tires. 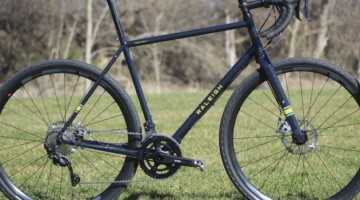 It also has the appropriate mounts for bikepacking, touring or long adventure rides that require racks and fenders. 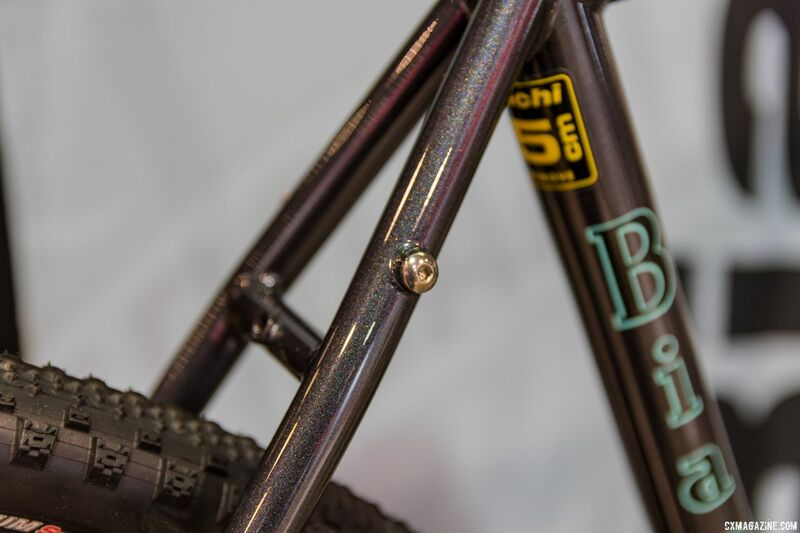 There are also brazed-on mounts on the steel fork blades that can be utilized for low-rider racks or extra bottle cages. 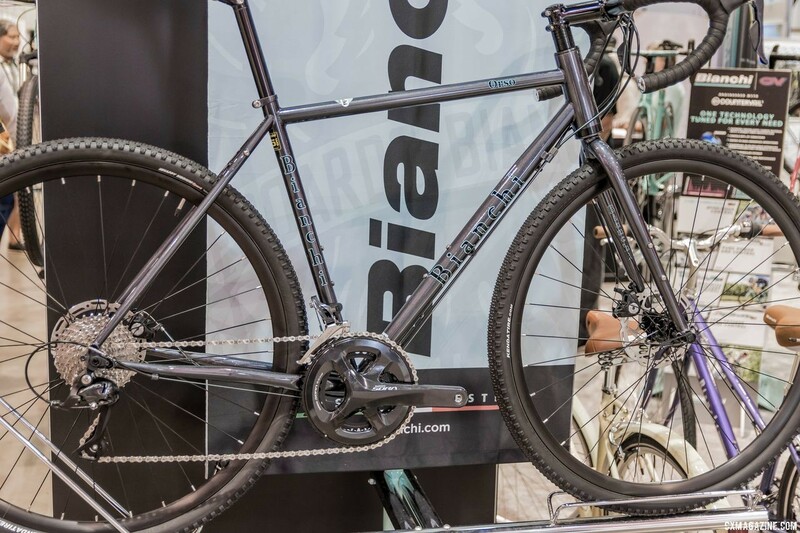 The Orso is available built up with Shimano Sora and mechanical disc brakes for $1,400 USD or with Shimano 105 and hydraulic disc brakes for $2,100 USD. 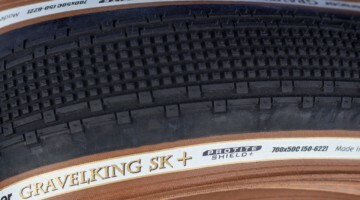 Both models come with tubeless ready wheels and tires. 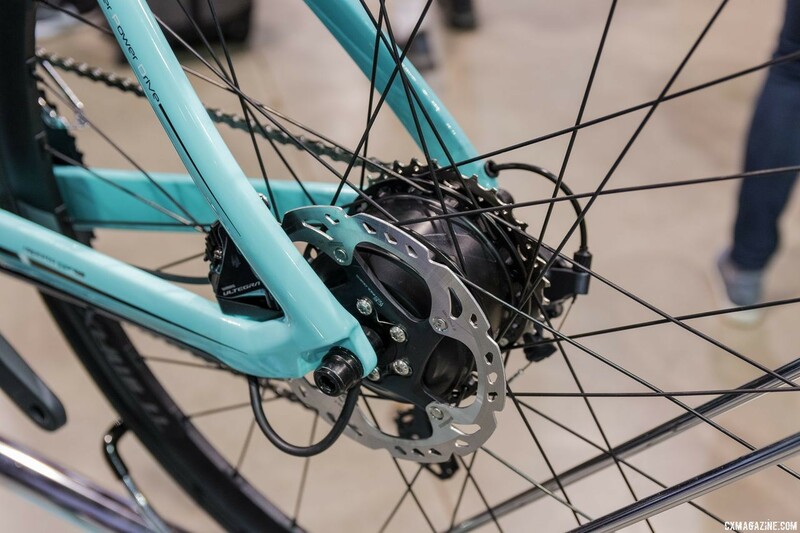 On the more performance-oriented side, Bianchi’s Impulso endurance road frameset also comes in an All Road version with disc brakes and more tire clearance. 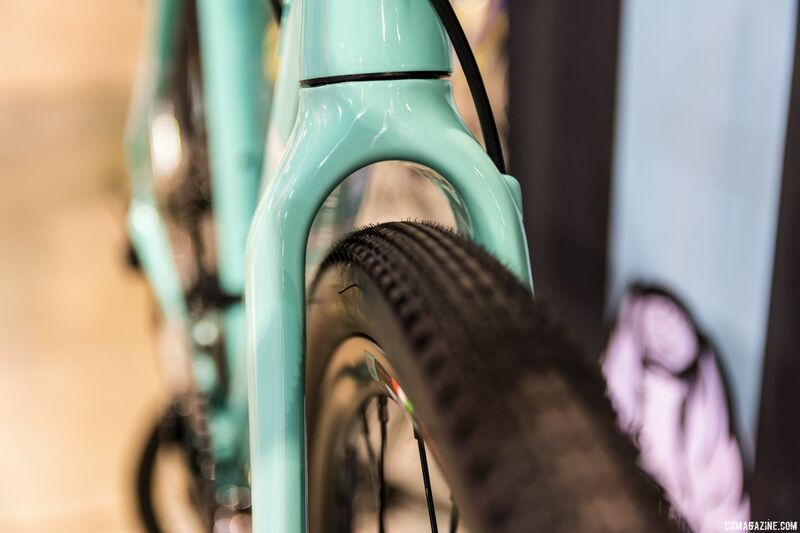 Bianchi constructs the Impulso All Road with its Triple Hydroform Technology, where the alloy top and head tubes are hydroformed to their desired shape. After welding, the top tube junction is put into a mold and hydroformed again to create a monocoque appearance. Bianchi claims the process stiffens the steering axis for more precise handling. 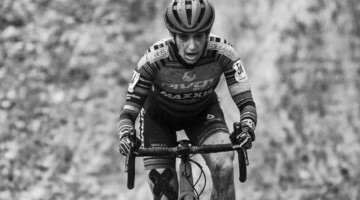 The Impluso All Road comes in Shimano 105 hydraulic disc and Shimano Tiagra mechanical disc versions for $2,100 and $1,700 USD, respectively. 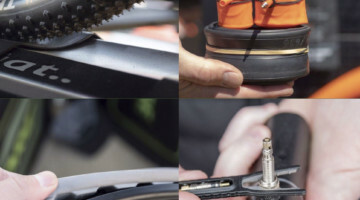 Both builds come with tubeless-ready rims out of the box but not tubeless tires. 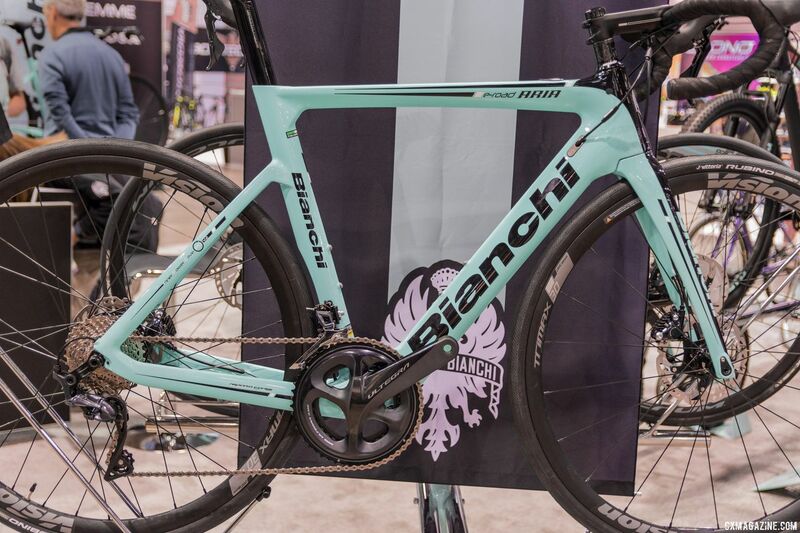 The real news from Bianchi this year is the E-Road Aria carbon disc road bike. 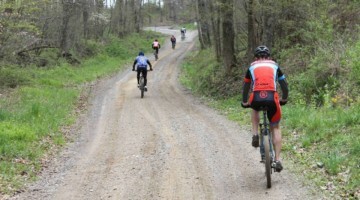 Though not specific to cyclocross or gravel, it is still significant. 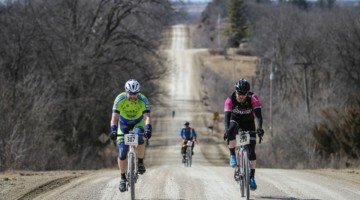 E-Road bikes differ from the e-bikes we see in the U.S. today primarily due to the need for lighter weight and different power needs. The Bianchi E-Road Aria is one of the first of its kind introduced in the U.S. 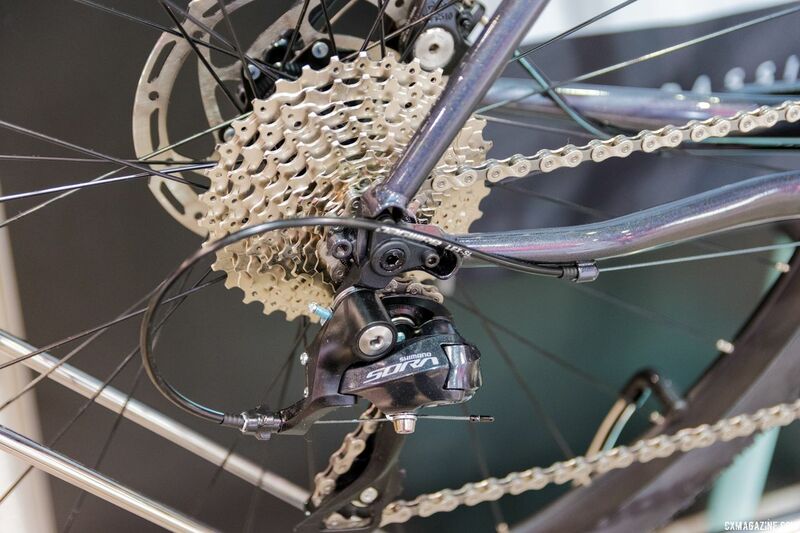 It utilizes the Ebikemotion X35 rear-hub-centric motor from Spain. 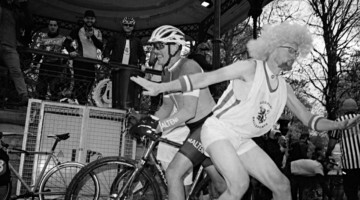 It produces 250 watts and is paired with a battery mounted in the seat-tube. 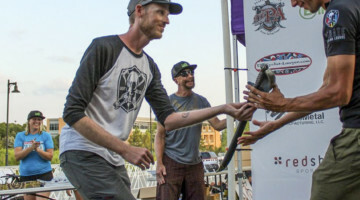 The entire drive system weighs less than 8 pounds and creates a bike that is around 25 pounds. 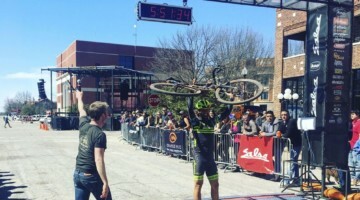 Thanks to the hub-centric drive, the wheel can be swapped for a regular 12mm thru-axle disc wheel, the battery dropped out of the seat-tube with one bolt and the bike becomes a light carbon road bike. 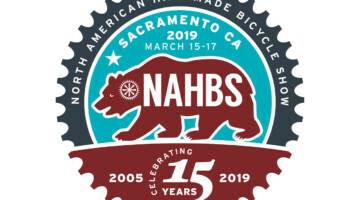 This is a potential advantage with the hub-centric system compared to the bottom bracket systems not yet available in the U.S. from Fauza and Bafang. 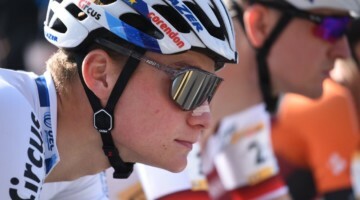 We have already seen a similar setup in cyclocross before. 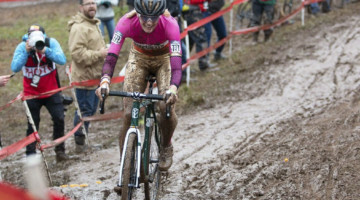 Outside of competition, the introduction of the E-Road Aria from Bianchi points to an E-cyclocross or E-gravel bike in the not too distant future.